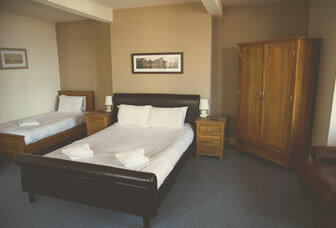 The Crown Hotel specialises in providing relaxing modern hotel accommodation for business and short stays in Morecambe with easy access to the Lake District and the historic town of Lancaster. 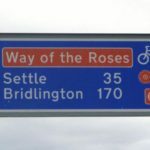 We are located centrally on Morecambe promenade, just a ten-minute drive from the M6 motorway junction at Lancaster via the new Bay Gateway link road. 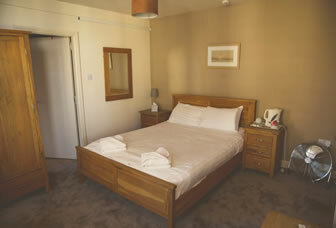 All rooms are en-suite and come complete with tea making facilities and TV. Check-in is from 2-10pm, and check-out is by 10am. We don’t currently serve breakfast. 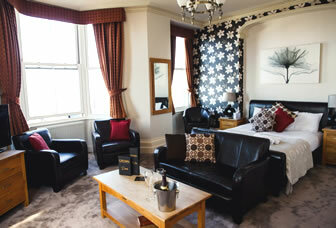 Unfortunately we have no disabled access to our accommodation and no ground floor rooms. Rooms 1, 4, 7 and 12 have no sea view. Please note we are a no smoking establishment – anyone caught smoking will be subject to a £100 fine. Contact us direct (including any special requests) on 01524 831841 or use the contact form.